World House Galleries [Mr Herbert Mayer], Greenwich, CT, by whom acquired from the Musée Rodin in December 1955. Anonymous sale, Christie's, New York, 15 May 1997, lot 250. R. Descharnes & J.F. Chabrun, Auguste Rodin, Lausanne, 1967, p. 129 (another cast illustrated). J.L. Tancock, The Sculpture of Auguste Rodin, Philadelphia, 1976, no. 108-3 (another cast illustrated p. 593). 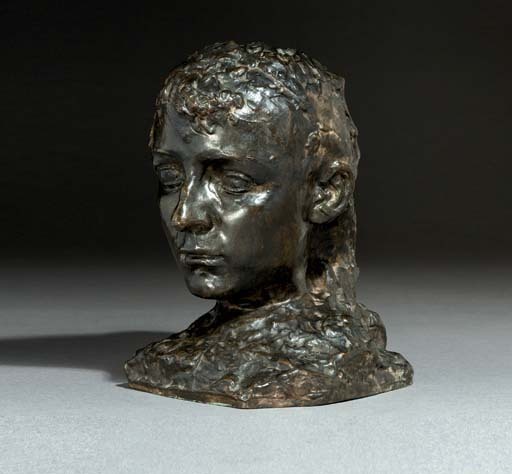 The Comité Auguste Rodin under the direction of Jerome Le Blay will include this work in their forthcoming Rodin catalogue critique under the number 2006V990B.